Thanksgiving is nearly upon us! And we wanted to share what our staff, board, students, parents and volunteers are thankful for. Here are some of the answers we received from the following questions: What are you thankful for? What about BCM are you thankful for? Students write down what they are thankful for and and put the notes in their “Thankful Jars” during Thanksgiving themed Bible Club. 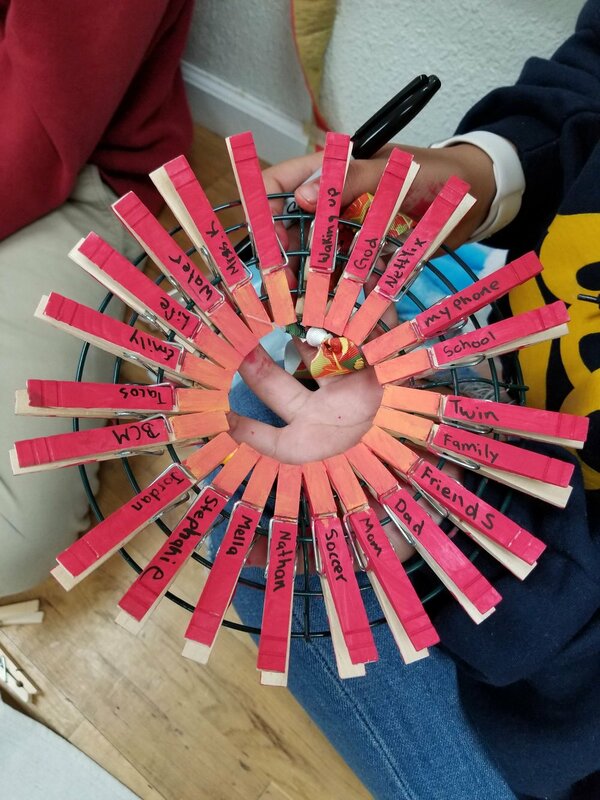 Students create a Thanksgiving wreath made of clothes pins adorned with what they are thankful for during Streetworkz their Thanksgiving themed program. During staff prayer, we too a moment to reflect and write down what we are thankful for. This is one of the notes.